Middlesex confirmed the signing of AB De Villiers for an initial seven matches ahead of this season's Vitality Blast. In a conversation had this afternoon it was echoed that not even resurrecting W.G. Grace could help turn Middlesex's T20 fortunes around. It would have been interesting to see how the great bearded batsman of the late 19th century fared in the power play and with boundary music. But one man who fares rather well with it all is AB de Villiers. May he be the one to solve Middlesex's issues in T20 cricket? It's a question that will have to wait for now, but his addition is certainly a sign of intent. When the new county season kicks off, it will be 11 years since the Seaxes lifted what was then known as the Twenty20 Cup. They have been abysmal when it's come to the shortest form of the game but they will be hoping for renewed fortunes with De Villiers among their ranks. Middlesex have tried numerous ideas to try and resolve their T20 fortunes in recent memory. Brendon McCullum had a two-year spell in white ball cricket with the club whilst a fellow Kiwi in Daniel Vettori who coached the side in T20s did little to turn things around either. Last year they finished bottom of the south group, winning just two of 14 matches and the additions of Dwayne Bravo and Ashton Agar failed to lift them from their slump. It was a horrendous year but the problems in this form have been mounting for years. That's why it begs the question, can De Villiers really do anything to improve Middlesex's T20 chances? The batting hasn't so much been an issue with the career-best form of Paul Stirling last summer in white ball cricket providing one of few bright sparks to come from Middlesex's season. His performances will once again be crucial in the Vitality Blast in 2019 and alongside De Villiers, they could well find a winning formula. Improved fortunes may not be certain for Middlesex but one thing that is for sure is that De Villiers can win matches on his own. He has done it for South Africa, and he has done so for various T20 franchises around the world too. That includes the reputable IPL where he's starred alongside Virat Kohli for Royal Challengers Bangalore. De Villiers may have retired from international cricket but his form and class hasn't dropped off. In T20s the South African boasts an average of 35.86 at a strike rate of 148. It gives a remarkable indication of his consistency and power hitting. Speaking of his decision to join up with Middlesex this summer, he said: "I have always wanted to play county cricket, and I am very much looking forward to joining Middlesex for the Vitality Blast. Playing at Lord’s is always a wonderful privilege." How could Middlesex shape up? It's no secret that De Villiers will likely be on a hefty sum of money during his stint with Middlesex, something that has done enough to anger those who merely come to watch red ball cricket. Middlesex's County Championship Division 2 promotion bid should probably take centre stage in 2019, but finding momentum in the Blast, although a different competition, could actually help proceedings. It should be an exciting time to be a Middlesex supporter, with new head coach Stuart Law already busy laying down the foundations for each form of the game - particularly when it comes to T20. Mystery Afghanistan spinner Mujeeb Ur Rahman has also signed for the club. The 17-year-old is one of the biggest prospects in world cricket at the moment and his economy rate of just 5.34 in T20I cricket is something that will only benefit Middlesex. They've lacked control with the ball in T20s, with bowlers often being carted to various parts. However, Mujeeb should help wrestle things back in that regard and having him available for the whole tournament is a boost. On paper, Middlesex's T20 ambitions have a huge amount of potential. Alongside De Villiers and Mujeeb this season, it could bolster Dawid Malan, Stirling, Steven Finn, Toby Roland-Jones and even the likes of Eoin Morgan - although this will be a busy year for the England skipper. Promising bowler Tom Helm has also impressed in T20 cricket whilst the young Max Holden showed positive signs with the willow in all formats in 2018. When watching Middlesex play you have to be prepared to expect the unexpected. Their County Championship winning game with Yorkshire in 2016 followed by relegation the next year tells you all you need to know. 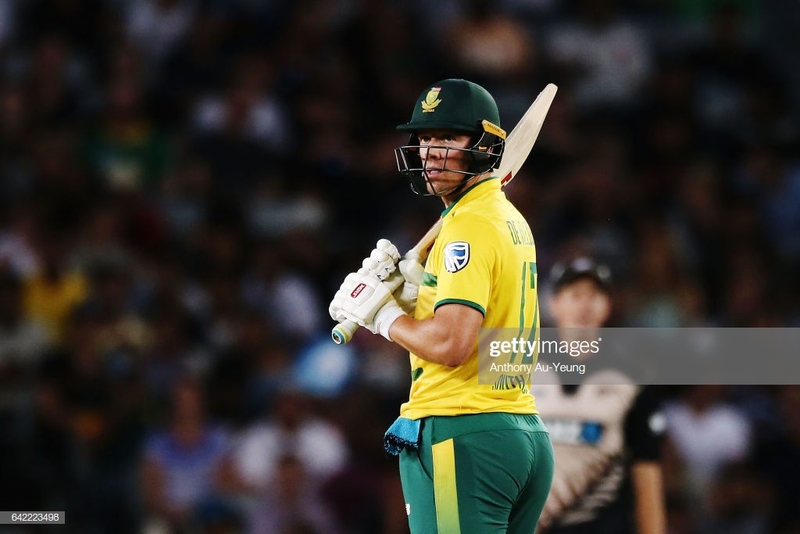 But with Law's arrival and the signings of De Villiers and Mujeeb for the T20 Blast, there are reasons for Seaxes supporters to be positive.